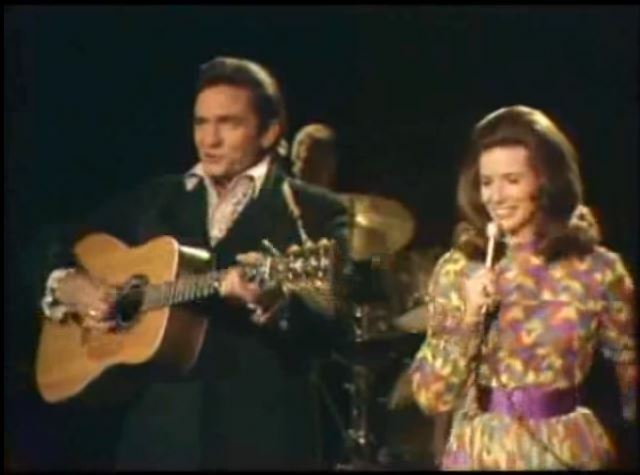 Johnny Cash And June Carter performs "Long-Legged Guitar Pickin' Man"
Carryin' On with Johnny Cash and June Carter is an album by Johnny Cash and June Carter released in 1967 (see 1967 in music), on Columbia Records. 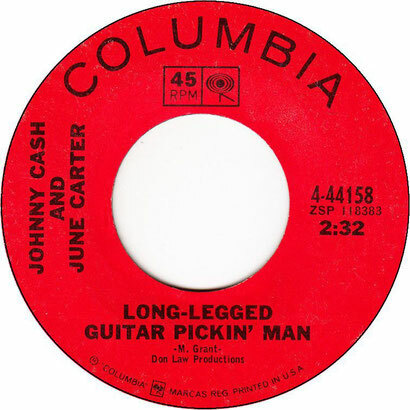 The album consists exclusively of duets by Cash and Carter, including "Jackson"; "Long Legged Guitar Pickin' Man" (written by Cash's bass player, Marshall Grant) was also released as a single. One track, a cover of Bob Dylan's "It Ain't Me, Babe", dated back to 1964 and had previously been released on Cash's 1965 album, Orange Blossom Special. Cash and Carter married seven months after the album was released (with Carter subsequently changing her professional name to June Carter Cash), and the couple performed "Jackson" at numerous venues throughout the years. The album was re-issued on March 19, 2002, through Legacy Recordings, with two additional tracks.